Many employers sponsor matching gift programs and will match—doubling and sometimes tripling—charitable contributions made by their employees. Some companies also match gifts made by retirees. Making a gift to UB in honor or memory of a teacher, student, relative or friend is a thoughtful and generous way to recognize his or her life and accomplishments. Learn how you can achieve your philanthropic goals at UB while also benefiting your personal financial position, supplementing your retirement or providing additional support and security to your family. To attain the greatness that is within our reach—the greatness we’ve spent the past 170 years preparing for—we’re asking you for great generosity. Whether you choose to give your school, a specific department or a cherished fund, you decide how your gift will change lives. The simplest and fastest way to make your investment count now, is by using our secure online form. Make a one-time or recurring gift through the mail or fax by using one of these forms. University at Buffalo employees can make an investment each pay period with this form. Our Place. Our Way. Our Future. For 170 years, the University at Buffalo has made life better in Western New York and around the world with bold action and an unmatched tenacity. 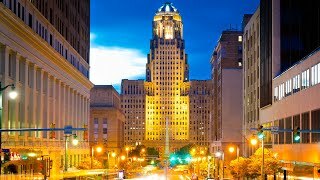 Boldly Buffalo: The Campaign for UB is the largest, most ambitious fundraising campaign in university history—a campaign that will transform UB in nearly every way imaginable.